Anita and Manoj had their wedding on a rather warm November day. Following traditional Sikh Wedding Ceremony at Sikh Foundation of VA, we headed across the street to Burke Lake for some scenic portraits. 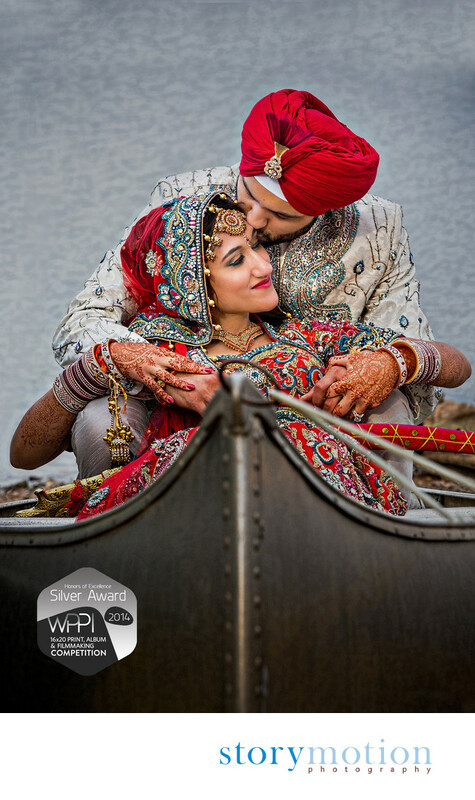 This photograph became Award of Excellence Winner at WPPI (Wedding and Portrait Photographers International) Annual 16x20 Print, Album and Filmmaking Competition, Photography's Leading Album and Print Competition. Location: 7315 Ox Rd, Fairfax Station, VA 22039.